Sentinel works with a broad range and diverse group of retailers to provide safety to their staff and to secure their assets. Our security agents, both armed and unarmed, are trained in customer service, specifically for high-end luxury boutiques. We realize that while our primary responsibility is security, it is equally important to recognize that we are often the first impression that customers see; appearances and service matter. 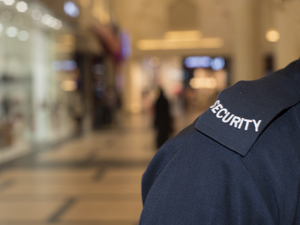 Our agents are perfect for the high-end retail sector; agents are outfitted in the highest quality suits and uniforms in the security industry. When it comes to uniforms and equipment, the expense is never an issue with Sentinel, achieving “the look” that our client’s desire is always our priority. Our security agents are highly professional, clean-cut and trained and we can customize a security program unique and specific to each of our client’s needs. For more about your Retail Security, contact your Loss Prevention Service at 718-740-3600.